Performer Magazine is giving away TWO Shure KSM8 Dualdyne™ Dynamic Microphones, and we want to give YOU a chance to win one to test out on stage or in the studio! 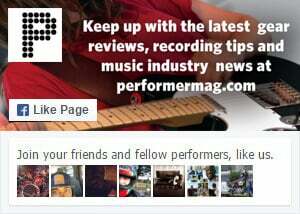 Winners will demo the mics for Performer Magazine, putting the KSM8 through its paces and posting weekly on social media on their experiences. We’re looking for one winner to test it out live on stage, and one winner to test it out in the studio. You’ll get to keep the mic once you’re done telling us all about it, PLUS your expert opinions will help inform your fellow artists about the KSM8’s capabilities. Cool, huh! Enter below, and watch some cool videos on the new Shure KSM8 Dualdyne™ Dynamic Microphone after the jump. ENTRIES ARE NOW CLOSED. THANKS TO ALL WHO SUBMITTED, AND GOOD LUCK!